Hello again golfers welcome to our latest newsletter, the weather has been remarkably mild and dry so far for October and it looks like it will be continuing this week which is great to see! Despite the good weather it's a sad fact that winter will soon be on its way but this doesn't mean that your golf has to stop - this week's newsletter is full of tips on how you can get the most out of your winter golfing experience to make it as good as the summer! 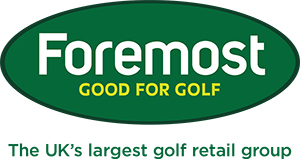 - Are you prepared for winter golf? - Have you tried the new Titleist irons yet? - Are you Hartford's best practicer? The weekend saw the start of our Winter League and it promises to be another keenly contested competition with plenty of strong pairings entered and the betterball Stableford format encouraging good scoring. The winners of round one were the ever consistent pairing of Gareth Eaton and Liam Tyrer with a 25 point haul, last year's runners-up scored three birdies with no dropped shots in second place came Alan Tayler and Stuart Gray who also scored 25 points but lost out for first on a card play-off, third place went to Simon Stephenson and Ian Wharton with 24 points. The pairing of Steve Nicholson and Paddy Scanlan are bound to be annoyed with themselves as they returned 26 points but unfortunately they forgot to pay their entry fee before they teed off, as we all know this transgression meant they had to be disqualified and they missed out on first place! The second round of the Winter League is taking place on Sunday 25th October at 11am. Are you ready for winter golf? Despite the decent weather we all know that winter is inevitably on its way, the days will soon become shorter and colder but this is no reason for your golf to stop over the winter - remember our old adage that 'there's no such thing as bad weather just inappropriate clothing'. Now is the time to check your golf kit and make sure that you have all the winter golf essentials such as a good waterproof suit and golf shoes, winter gloves and a warm hat, hand warmers and a good umbrella are also basic items that are very important. We have a great offer on our new ProQuip winter stock, for just £99 you can buy a package of the warm merino wool lined jumper, winter mittens and waterproof bucket hat when bought separately these items add up to a value of £129 so you can make a saving of £30 on this package. The ProQuip package will set you up for the winter and it would also make a great gift for a loved one, remember that it's now just over 10 weeks until Christmas! Sort your grips and shoes out at the same time! To help get you ready for winter golf we have a great offer on re-gripping your clubs and re-spiking your golf shoes, most people let their golf grips get far too worn and they become shiny and slippy this means that you have to hold the club tighter and tighter and you end up with too much tension in your swing - not ideal for good golf at all! The ground will also become softer and slippier so check your spikes or cleats on your golf shoes and make sure that they give you plenty of grip, if not you are at risk of slipping on the golf course and it will also be harder to keep your footing when swinging the golf club, if they look anything like this pair then they need replacing! With winter approaching now is the ideal time to check your grips, they should be replaced every 18 months or so but most people leave it far too long, remember that the grip is your only contact with the club so it's essential that they are right and feel good. If your grips look like this have lost their tackiness and feel hard or they look shiny then they are definitely worn out and they should be replaced, new grips start from £5 each including free fitting and we can have a whole set done within 24 hours. Another interesting fact is that over 60% of golfers have the wrong size grips on their clubs, everyone has different sizes of hand and to accommodate this grips are available in undersize, midsize and jumbo as well as standard men's and ladies size, if your grips are the wrong size shots can fly off line as you will have too much or too little hand action in your shots. 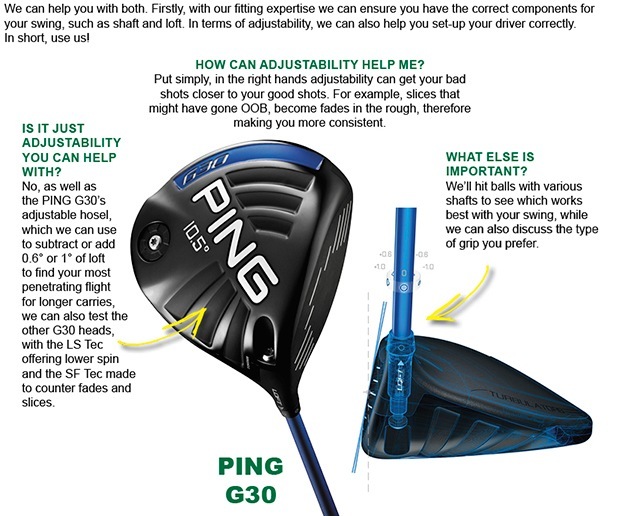 Here is our great offer - if you spend £50 or more on getting your golf clubs re-gripped with us we will also re-spike your golf shoes (worth £15) for you for FREE and we will also check to make sure that you get the right size of grip and you can have steel spikes or the plastic cleats on your shoes, so you can kill two birds with one stone and ensure that your grips and shoes are perfect to get you through the winter! Have you tried the new Titleist irons yet? Even though they aren't officially released until the end of the month we have got the new Titleist 716 irons and 816 hybrid demo clubs in our fitting room now for trial and custom fittings. So far the feedback we have received about the new range has been unanimously positive and we've already placed a few orders for new clubs. The 716 AP1 irons seem to be a particular hit with many mid-high handicap golfers as they offer great feel and playability but also increased length on iron shots compared to previous models, compared to last year's 714 irons we have found the new irons go around 12 yards further but also with tighter dispersion meaning that you can hit less club into the green and improve your chances of making birdies and pars. If you haven't tried the new Titleist irons or hybrids yet call into the shop and ask to try out a demo club - we will give you a free bucket of balls and you can see for yourself how good they are! Congratulations from everyone here at the club to member Steve Bond and his gorgeous fiancé Liz as they tied the knot last week at the world famous Bellagio Hotel in Las Vegas, it was a wonderful and quite emotional ceremony and I know that many of you got to watch it through the live webcast, in case you missed it you can view the ceremony (and see everyone crying their eyes out!) by clicking here. As all the summer competitions are now concluded we need to award all the winners their prizes! Our traditional annual summer presentation night will be held on Friday 13th November starting at 7.30pm. There will be a 3 course meal, followed by prize awards and a disco with late bar, members and guests are more than welcome and tickets are good value at £18 each. Whether you're a winner or a loser it would be great if as many members as possible could attend the presentation night as we can celebrate what has been another great season at the club! Are you Hartford's best practicer? With the shorter days approaching your chances to get out onto the golf course might be limited for the next few months, this is why the winter is the ideal time to work on your golf game and have those lessons that you've been meaning to have and use our floodlit driving range to do some serious practice and work on your game. Look at the winter as the perfect opportunity to get your golf game in good order so that you can hit the ground running when the next golf season starts, to encourage all of our driving range regulars we are holding a competition until the end of the year to find our best practicer. For everyone that buys a membership card we can track how many balls are hit and the person that hits the most balls between now and the end of December we will reward you with a FREE Gold membership card worth £100 on us so you can practice even more! 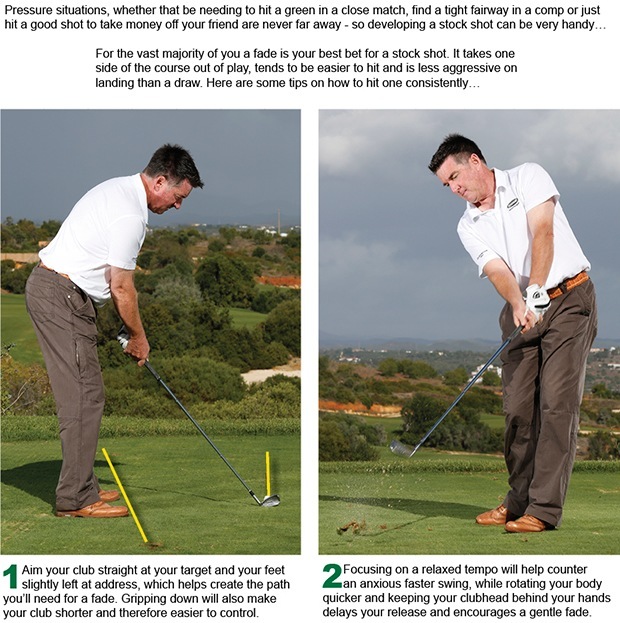 In this case extra practice can help your game but it can also save you money! There was great turnout of 24 ladies for their nine hole Stableford on Thursday and it was 35 handicapper Di Sommerville who has shown some good from recently who took the honours with a 19 point total, Di just edged out Elspeth Forbes who also scored 19 points and third place went to Jill Bebbington with 18 points. Well done also to Ann Broster who scored a two on hole five. The next ladies competition is the Di Sommerville Vase on Sunday, you never know with the form that she is showing Di might win her own trophy!